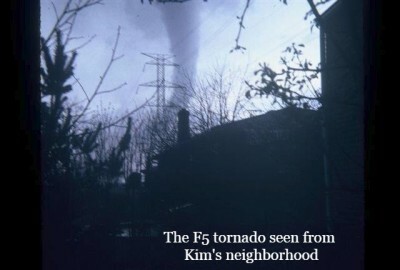 Prior to The Weather Channel, Kim was a forecaster and weather observer for the United States Air Force where she specialized in severe and tropical weather. Cunningham has been named Airman of the Year, and was the first woman promoted to the Severe Weather section of Global Weather Central at Offutt Air Force Base. While Kim is building a career in motivational and public speaking, she is also a communication coach for Speechworks, Inc, a co-host on Storm Front Freaks and a free lance meteorologist. Over those 30 years Kim has faced many challenges, both personal and professional and when people hear her stories they are amazed and inspired. Taking it on the road seemed like the natural next chapter in her career. She wants to share her experiences to help others. Kim has survived cancer twice and divorce, is mom to three boys and has a step son. She was born and raised in Cincinnati, Ohio, and at around 5 became obsessed with tornadoes after watching The Wizard of Oz. She saw her first actual tornado when she was 11 and knew then she wanted to be a meteorologist. She has been featured in newspapers and magazines and asked to speak at schools and events including UPS's Women Leadership Development Team meeting, the Long Island Emergency Management conference, The Weather Channel’s WOWnet (women of weather network), Down Syndrome Awareness and The Gigi House fundraiser in Atlanta, GA, The National Science Center during Women's History Month in Augusta, GA, and DeVry’s HerWorld Conference on STEM in Atlanta. Kim has been active in her community over the years, including work in Special Olympics, Meals on Wheels, and a homeless shelter. She is also a volunteer for her sons' high school Future Shop and Marching Band, and a long time PTSA Exceptional Children board member. Cunningham has a BS in Atmospheric Science from Creighton University, Nebraska, an Associates of Applied Science in Weather Technology from the Community College of the Air Force, over 1500 hours in Air Force weather schools, and over 200 hours of leadership and supervisory training. Besides her passion for weather, Kim loves to garden, walk, travel, ride Harleys and watch football with her husband Marty (though it's a house divided, Bengals and Falcons)... She loves music, especially rock and she and Marty are always looking for more vinyl to add to their collection. Some may say Kim is obsessed with decorating for Halloween and Christmas and she recently has found a love for making holiday wreaths and is looking to sell some of her work someday.